The Putnam Legislature approved a lease with Putnam-Northern Westchester BOCES Tuesday allowing the regional educational network to use sections of two buildings located on the Tilly Foster Farm located off Route 312 in Southeast for an educational … Please login below or purchase a subscription to the Putnam County Courier to access this content. There was standing room only at the historic Putnam Courthouse Tuesday evening for a marathon meeting of the Putnam County Legislature. While the agenda contained items related to signing a contract with Putnam-Northern Westchester BOCES over its us… Please login below or purchase a subscription to the Putnam County Courier to access this content. Three month old Avery Gronert attends her first parade with her mommy, Kelly. The family resides in Brewster. 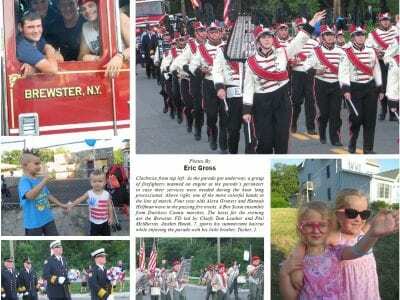 From newborns to senior citizens, hundreds lined Brewster’s Main Street last Wednesday evening for the Brewster Fire Department’s annual ins… Please login below or purchase a subscription to the Putnam County Courier to access this content. Hero bartender Michelle Margilaj is congratulated by State Senator Terrence Murphy. Michelle Margilaj doesn’t consider herself a hero — yet due to the East Fishkill resident’s heroic actions, an 8-year-old Mahopac boy is alive today. The… Please login below or purchase a subscription to the Putnam County Courier to access this content. Clockwise from top left: As the parade got underway, a group of firefighters manned an engine at the parade’s perimeter in case their services were needed during the hour long processional. Above right, one of the more colorful bands in the lin… Please login below or purchase a subscription to the Putnam County Courier to access this content. The Patterson Library, located at 1167 Rte. 311 Patterson, presents “Summer Movie Matinees” Wednesday, August 10, and Wednesday, August 24, at 1:00 PM. Get out of the heat and enjoy a great movie on our big screen! The Big Short (R, 17+… Please login below or purchase a subscription to the Putnam County Courier to access this content. Putnam’s breastfeeding moms are being encouraged to join thousands of other women around the world by participating in Friday’s Big Latch On. The annual event, an opportunity to support and promote breastfeeding, is traditionally held du… Please login below or purchase a subscription to the Putnam County Courier to access this content. Jim McGowan of Mahopac has been elected as secretary treasurer of the NYS Professional Firefighters Association. 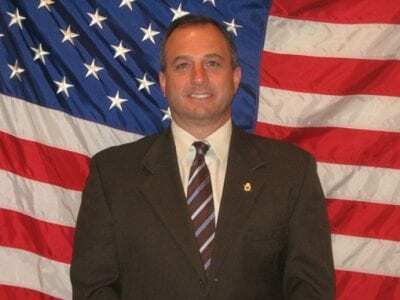 Nearly three decades ago, James McGowan, formerly of Mahopac, was elected as President of the New York Professional Firefighters Associat… Please login below or purchase a subscription to the Putnam County Courier to access this content. Explorers from around the region partake in activities during last year’s weekend at the Putnam Fire Training Center in Kent. Two hundred future members of emergency services units are chomping at the bit in anticipation of attending this weeke… Please login below or purchase a subscription to the Putnam County Courier to access this content.